The stay was going incredibly well until I encountered your night door man at 3:00am and then again around 4:30am. This employee needs some serious training in customer service. I would also highly recommend that Alto move with the times around guest interaction with family and friends. I appeared to have no issues during the day when my hair dresser and makeup artist arrived then later when my husband, cousin and family friend arrived for some pre-event drinks. When the same people returned to collect their jackets and bags they were treated like criminals with one guest having to wait in reception and the other two being escorted out!!!! Neither myself or my guests were intoxicated, none of them were rude however the night doorman was a disgrace. 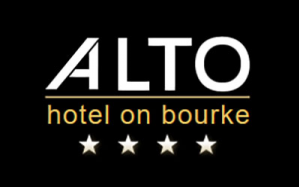 I will never stay at Alto again and as someone who works in the event and entertainment industry in Melbourne, will not be recommending the hotel to clients or overseas visitors. Disappointing experience after what started out as fantastic. The two day reception/door people where brilliant, nothing was too much trouble and I felt very welcomed. My overall experience if I could sum it up felt like a School dormitory being told off by the Headmaster in the middle of the night .... As a VIP of both the Westin and Crown Towers I found it an absolute joke!